Ruth founded Ruth Davidson Hahn & Company in 2001 in Lincoln, Nebraska. 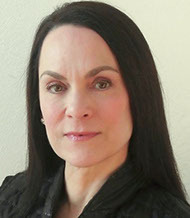 She is also a founding member and 21 year veteran dancer of the world renowned Mark Morris Dance Group from 1980 – 2001, and a Stanley J. Wertheimer Fellow of 2013 specially trained in the internationally acclaimed Dance for PD® method out of NYC founded by the Brooklyn Parkinson Group and the Mark Morris Dance Group. While performing and teaching in her years with MMDG nationally and internationally, Ruth also choreographed and had her own works performed at notable venues, including the Jacob’s Pillow Dance Festival and the Edinburgh International Festival. As a dancer with MMDG, Ruth participated in numerous internationally broadcast television programs, including the two award winning productions Falling Down Stairs, with cellist Yo Yo Ma, and Dido and Aeneas. She served as rehearsal director and assistant to the choreographer on many projects with Mark Morris, including two episodes of the PBS series, Sesame Street, for the Children’s Television Workshop. Ruth Davidson Hahn & Company of dancers and musicians has performed throughout the state of Nebraska at the Lied Center for the Performing Arts in Lincoln with additional performances sponsored by them at Midland Lutheran College in Fremont, in two performance collaborations with Lincoln’s Symphony Orchestra, at the Red Cloud Opera House sponsored by the Willa Cather Foundation, a featured performance of the Arts on the Green festival in Omaha including outreach with Girls, Inc., and more. One of the highlights of Ruth’s choreographic career was her collaboration with dancer Mikhail Baryshnikov, creating a solo for the national tour of his evening of dance Solos with Piano or Not, 2003, and having him perform this work as a guest artist with RDH&Co at the Lied Center for the Performing Arts in that same year. Ruth has also enjoyed numerous guest teaching and choreographic projects with the University of Nebraska, Lincoln, Dance Division, one of which she brought the dance students to perform her choreography as part of the Inside/Out Series at the Jacob’s Pillow Dance Festival. A National Historic Landmark and National Medal of Arts recipient, Jacob’s Pillow is home to America’s longest running dance festival, located in the beautiful Berkshire Hills of Western Massachusetts where Ruth had performed, taught dance and choreographed for 13 summers during her years with MMDG. Before moving to Lincoln Ruth was the resident choreographer for Millennial Arts Productions, a multimedia company in New York City dedicated to creating large productions of oratorios staged with singers, live orchestra and a dance theater ensemble. Her credits with them include but are not limited to choreographing Igor Stravinsky’s Pulcinella (1997), George Frideric Handel’s Esther aside the Jean Racine play of Esther (1998), and Handel’s Messiah (1999). Ruth was born and grew up in New York City. She is an award winning graduate of New York High School of Performing Arts and received her Bachelor of Fine Arts in Dance from the State University of New York at Purchase. In addition to dancing with MMDG, early in her career she danced with the Hannah Kahn Dance Company and the Don Redlich Dance Company where she had the honor of being choreographed on and performing works of the late dance master, Hanya Holm. Ruth appears in Hanya: Portrait of a Pioneer, a biographical film on the career of Ms. Holm starring Julie Andrews as narrator.